October 2007 FIDE Rating list released! 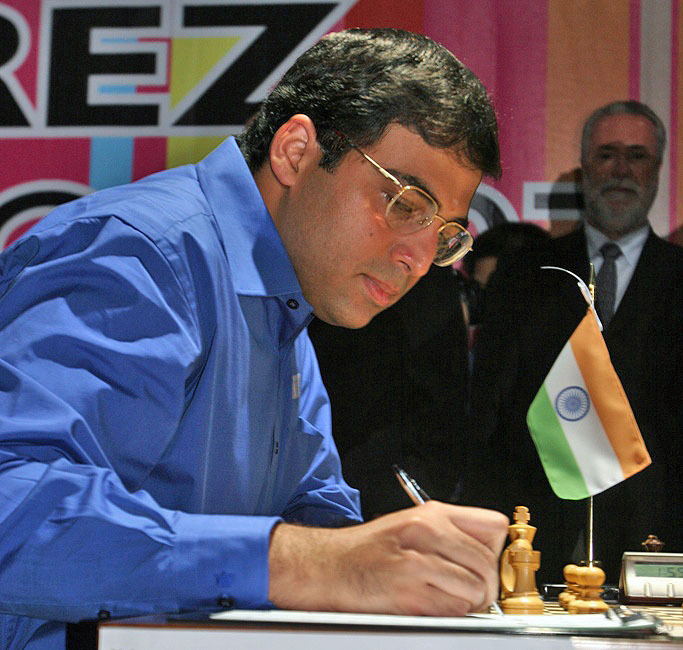 Newly-crowned World Champion Viswanathan Anand (2801, +9) vaults back over the 2800 mark with an undefeated record in Mexico City. The surprise of the October list has to be Vassily Ivanchuk moving to #2. The mercurial Ukrainian has seen a precipitous rise after scoring well Cuba, Canada and Aerosvit. Many wanted Ivanchuk in the World Championship instead of Vladimir Kramnik. One year ago, Kramnik (2785, +16) was basking in the glory of his undisputed championship crown. He has lost the title, but gets a match with Anand in a few months. He now holds the third position. Kramnik's nemesis Veselin Topalov drop to the fourth spot despite playing no rated games. The newest name in the top 25 is China's Wang Yue (2703, +7). He becomes the first Chinese player to eclipse that mark while compatriot Bu Xiangzhi is also close (2692, +7). In the women's category, Judit Polgar (2708, +1) has held the top spot for what seems to be an eternity, but Humpy Koneru (2606, +34) has gone over 2600. The young Indian star is only the second female player to do so. Pia Cramling continues as a top female player (2531, -2) despite slipping a bit. Former World Champion Zhu Chen (2531, +9) is back on the rating chart. She has been representing Qatar and helped them to a surprising finish in the Asian Games. China's Zhao Xue (2500, +30) has skyrocketed thanks to successful team matches against Russia and England. Azerbaijan's Teimour Radjabov (2742, -2) still grace the top of the junior charts, but this will be his last year. In the next list, Norway's Magnus Carlsen (2714, +4) will take over. Until the current batch of 20 year-olds leave the list, players like China's Wang Yue (2703 +7) will hold top positions. Wang is the first Chinese ever to break 2700 and has lead an impressive list of recent results fro Chinese players including team victories over Russia and England. and be trailed by Sergey Karjakin (2694, +16) and Hikaru Nakamura (2648, +1) rounds out the top five juniors. In Africa, Morocco's Hichem Hamdouchi is still the top player in Africa, but the country is not listed on the charts. Usually that means the federation is in arrears in dues. Egypt is coming off two successful events and eighteen-year old Bassem Amin (2561, +26) has gained 40 ELO points since April. 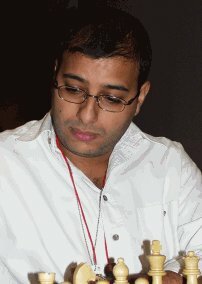 He joined three other Egyptians to qualify for the World Chess Cup. Essam El-Gindy (2503, -4) and nineteen-year old Ahmed Adly (2494, +6) qualified along with Khaled Abdel Razik. African Vice-Champion Slim Belkhodja of Tunisia is 5th but his federation has also been deleted from the FIDE rating charts. South of the Sahara, Amon Simutowe Zambia leads the pack and picked up perhaps 15 ELO points from the Euwe Stimulans tourney where he earned his 3rd GM norm. However, Zambia is excluded from the list because of arrears. 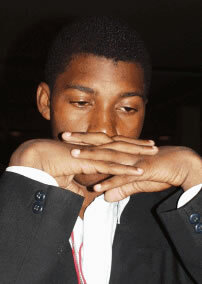 Robert Gwaze of Zimbabwe (2429, +16) gained after his victory at the African Chess Championships. In the Caribbean, Cuba's Lenier Domínguez (2683, +3) has begun his ascent toward 2700 as he put together a series of strong tournaments. Lázaro Bruzon (2607, -32) has apparently lost focus and is barely clearing 2600. Kevin Denny (2360, +2) remains the top player amongst the English-speaking Caribbean islands. In Europe, Sweden's Pontus Carlsson (2481, -5) is finding the task of getting 20 ELO points difficult. He will need them to officially get his GM title. America's Maurice Ashley (2465, +0) has been out of sight for more than four years. Emory Tate (2376, -19) has hit a nosedive after his strong showing in Curacao. He has lost a spate of games to players 300 points lower. Stephen Muhammad (2384, +0) is steady and has taken a break from major tournaments, but it still excelling in local tournaments.